United States, Manhattan Project: Albert Einstein had been born in Ulm in the German Empire, but by 1939 he had been living abroad for decades. Einstein acquired Swiss citizenship in 1901, and worked in the patent office there while establishing his reputation as a scientist. Later, he visited New York in 1921, and Asia the following year. He still wasn't sure where he wanted to settle down - his native Germany still looked pretty good, but he was more appreciated abroad. 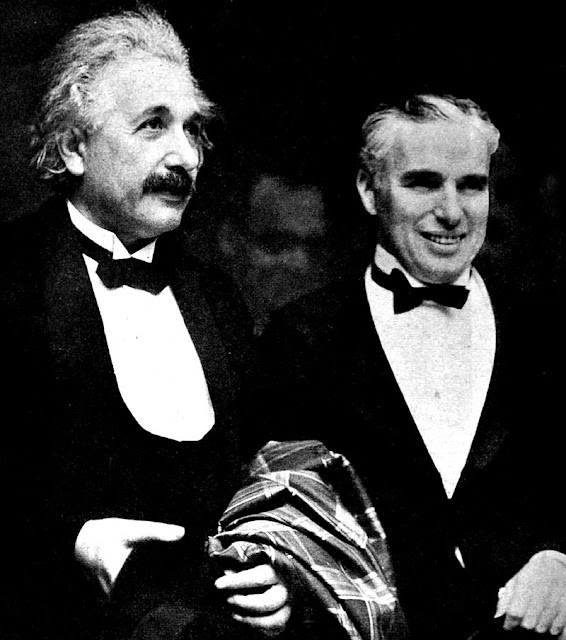 Einstein took a research fellowship at California Institute of Technology, and later a professorship there. By April 1933, he had decided that he no longer wished to live in Germany under the German regime. The Hitler regime had seized his property there to turn into a Hitler Youth camp. Einstein spent some time in Belgium deciding what to do next. Ultimately, he walked into the German consulate, renounced his German citizenship, sailed back to America with his wife, and settled in Princeton, New Jersey. He was only loosely affiliated with the university there, though many associate Einstein with Princeton. "This new phenomenon would also lead to the construction of bombs." By now, Einstein, a Nobel Prize winner, was the most famous scientist in the world. He spent time with Hungarian émigré Leó Szilárd and physicist Edward Teller, who informed him of the feasibility of an atomic bomb. Einstein admitted that he had never considered the idea, with which he is often wrongly tarred and feather by his critics. Realizing Einstein's celebrity status and international connections, Szilárd asked Einstein to sign a 2 August 1939 letter to President Franklin Roosevelt. It warned of the German work on the atomic bomb and proposed that the United States take action to develop one themselves. 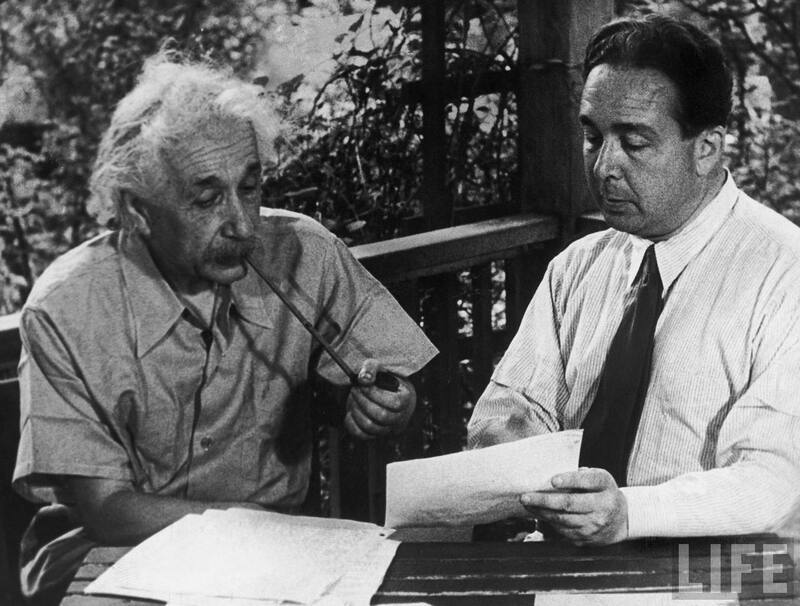 Albert Einstein and Leo Szilárd re-enact their August 1939 meeting about the letter the latter had drafted to President Roosevelt about the atomic bomb. The letter will not be delivered to Roosevelt until 11 October 1939, when it will make a big impression on him, especially considering that the war in Europe had broken out in the meantime. 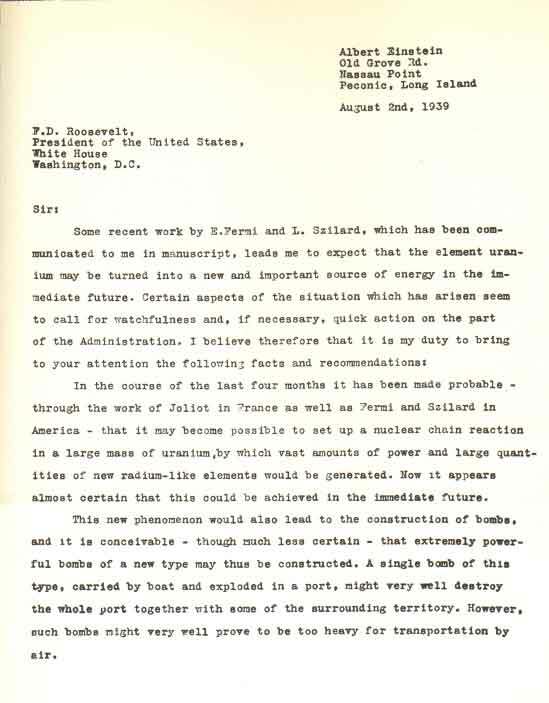 The letter leads directly to the Manhattan Project and the successful development of the atomic bomb by the United States in 1945. This - 2 August 1939 - is the single most significant date of World War II and it is not even mentioned in most histories of the war. Future History: Horror Writer/Director West Craven is born in Cleveland, Ohio. Craven's top works include "A Nightmare on Elm Street" (1984), which he writes, and "Scream" (1996), which he directs. He passes away in 2015. 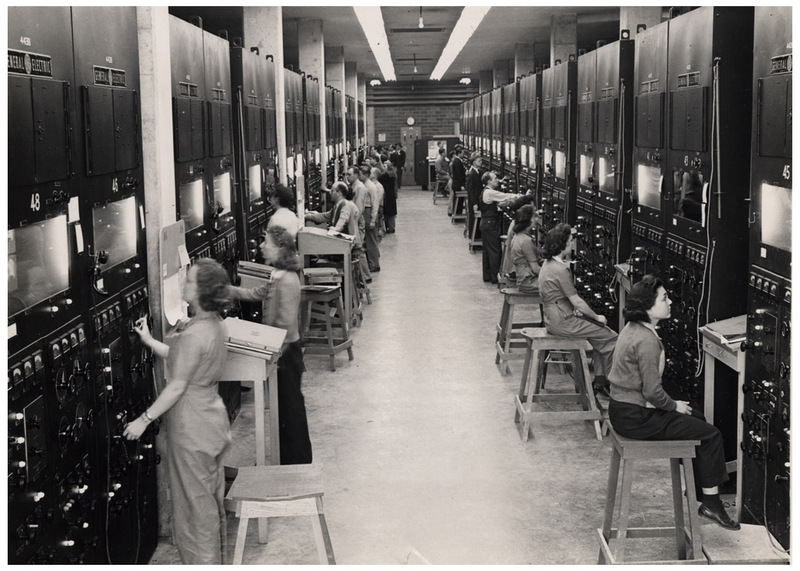 Calutron operators at the Manhattan Project.